Yes, using your phone you can earn enough cash to treat yourself a movie or launch and more, to know more about it, read below. Nowadays every one of us has a smartphone, for some people like me, it’s lifeline. But do you know, it can earn few extra bucks for you. However, I am not trying to make you believe that you can earn lots of money doing this. Yes, not that much so you can make living at home but as much as you can pay some of your bills. Everyone needs a few bucks extra every time If you are one of this peoples than you are in right place. Who does not love some extra money in there pocket, just by spending 15-20 minutes on those apps? Many of you may be wondering what you have done lots of things to earn a cent..! there is nothing to worry about, you do not need to do anything special. Just grab a couch, watch some videos, try some apps, answer some surveys and also can refer people, that’s all and you will receive cash for those actives. It’s crazy right because we also do those things. There are lots of apps which are providing the same features, but there are some catches, some of them are not fraud. By trying those, efforts will go in vain. 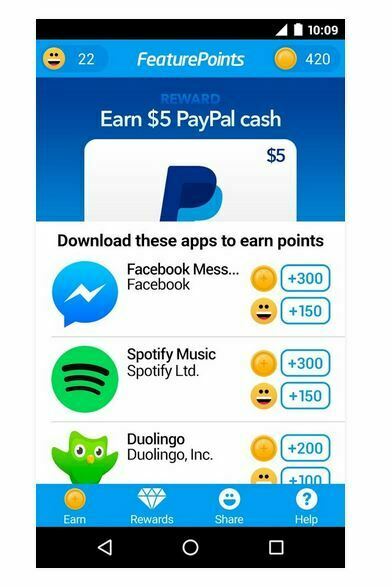 So, I decided to make a list of only genuine apps which are available on play store and iTunes store, through which you can really earn some money. One of the cool thing about most of those apps is that you can directly transfer your earning to PayPal. Ebates is a very old and reputed company which is basically a cash back app. 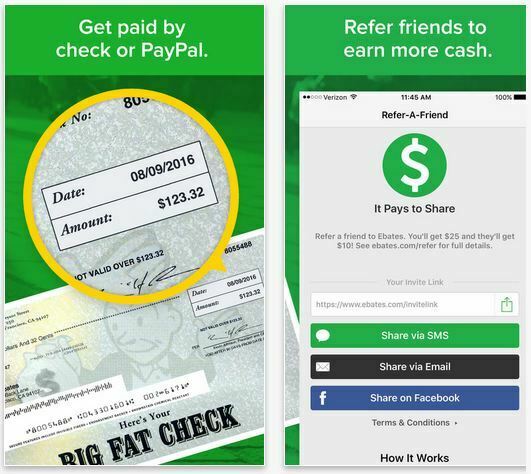 Ebates earns a commission when anyone buys something from them. Ebates shares a percentage of the commission with its members in the form of cash back. But stop, thinking you can’t make money from it. You can use this app to buy things, you are going to buy anyway. You can get some of your cash, back here. It also offers you to earn $50 just by referring 2 of your friend. Is it not awesome just refer 2 friends and get $50 when they made their first purchase, also it saves your few bucks every time you purchase something online. One thing I like most about Ebates is that you have options. You can either use there an app or you can use their website, not many platforms out there is offering you that. If you use this link to sign up, you will get $10 as bonus else you have to start with $0. You ever think that you can earn money just by unlocking your phone. Yeah, right nothing just unlocking your phone with Slidejoy you can make money. Slidejoy lets you make money to check trending news and to unlock your smartphone screen. You can cash your reward to your PayPal account or gift cards. Personally, I did not earn much in Slidejoy, but according to Clark Howard, you can earn $5 per month using this app. Like Ebates, using swagbucks you can earn cash back on your every purchase. Swagbacks partners with a large variety of bands like Gap, Walmart also some know online retailers like Amazon. 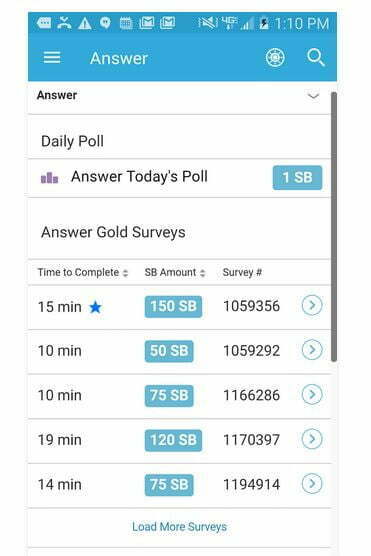 There are a variety of other options like searching, surveys, videos and coupons to earn more from Swagbucks. Two among that option caught my attention because I never heard of them before, those are searching and coupons. Searching: By using swagbucks as your default search engine, you can earn up to 50 SBs per day. Coupons: Swagbucks provide some coupon codes every day in their social media which you can use to earn instant SBs. I found some sites which collect all these codes in place, sbcodez is best among those. You can check their website also. If you use this link to sign up, you will get 500SBs as a bonus which means around $3 else you have to start with $0. The first time you can use this code or below link to get 50 points in bonus. MooCash also offers lock screen advertisement, through which can earn points. these points can be exchanged for cash directly in PayPal, mobile recharge or gift cards also. MooCash is a free mobile app in which you can earn money just by using your phone. You can earn money by trying apps, and surveys or by referring friends. If you use this code at the time of sign up, you will get 20coins as bonus else you have to start with 0 coins. 1. 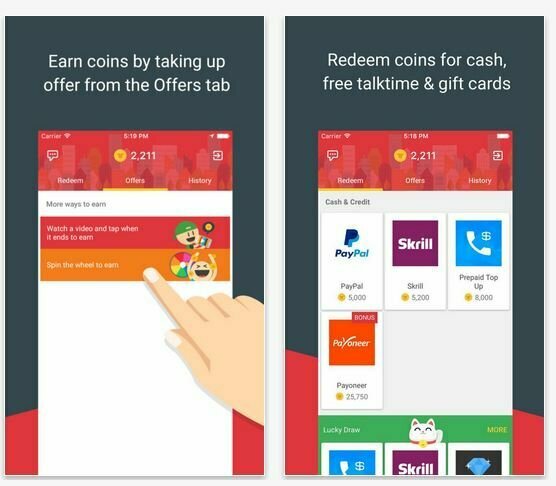 All of those apps are free to download in the play store, so you are not paying anything from your pocket. 2. I personally tested those apps, did not find any payment issues. Awesome read! Thank you so much for giving us so many options to earn money online. I'm definitely gonna try each one of them. Who wouldn't! Waiting for your new post. Keep up the good work! Thanks, i won't keep you waiting for long!